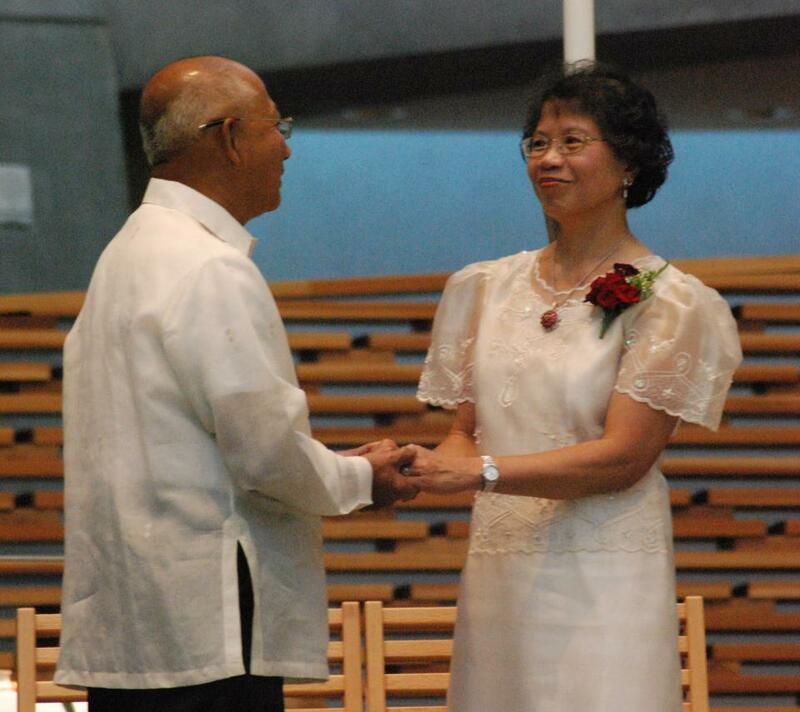 My parents kicked off their 40th wedding anniversary festivities with a 3pm mass on Saturday at the Cathedral of Christ the Light in Oakland. They were married on September 23, 1972 at St. Mary’s church in Oakland which is no longer functioning. That’s also where we were baptized. All of the documents recording these events have been subsumed under the Cathedral which is where I easily (to my surprise) located my baptismal certificate required for our Catholic wedding. I called the receptionist and she mailed it out that same day. Crazy! It was a full mass with a cantor (she had an unbelievable voice), an organist, readings read by me and my sister, petitions read by my brother-in-law, a homily by a priest of my parents’ choosing, and communion. 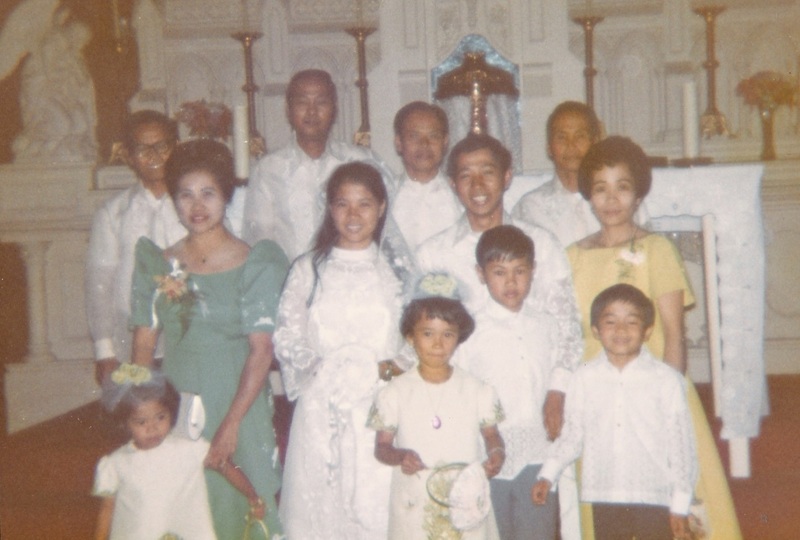 My sister made boutonnieres for all the relatives who were at my parents’ wedding 40 years ago. 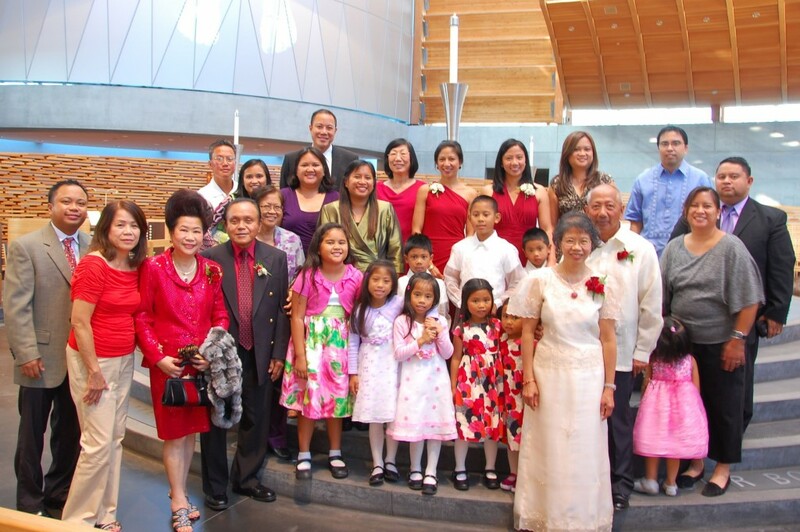 It’s pretty amazing that almost all the attendees made it to the anniversary mass 40 years later! One blast from the past picture, then the recent pics. 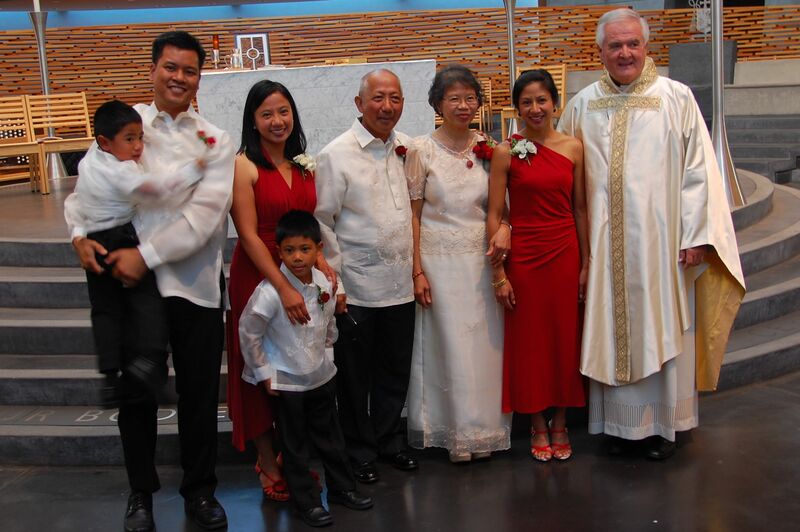 The last picture is a subset of my mom’s family (a brother and two sisters and their respective children). There are 2 sets of natural twins; see if you can pinpoint them.